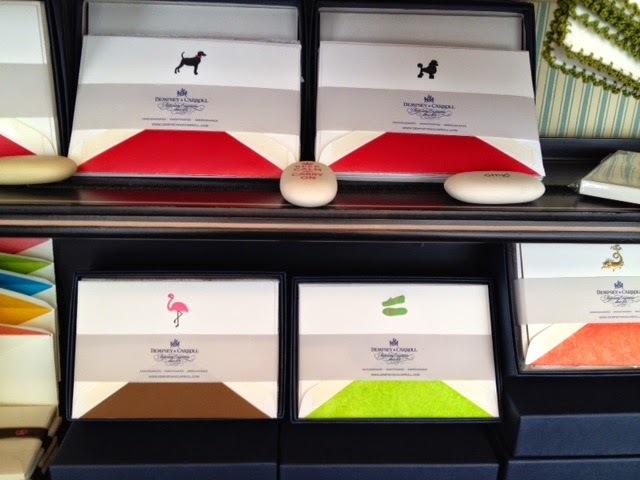 Quality stationery has become a staple at Leta Austin Foster Boutique. In recent times, we all have been lured into a high-tech world of e-mails and texts, but nothing will EVER take the place of good, old-fashioned snail mail. Everyone enjoys receiving a personal note by post. 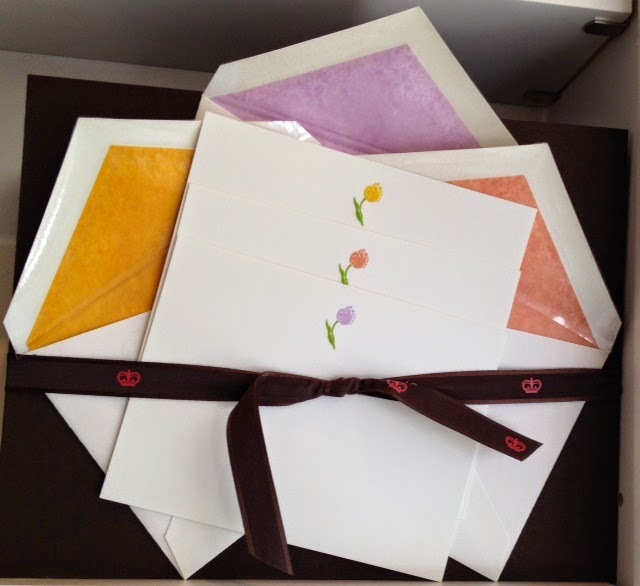 When the note is written on beautiful paper with a whimsical design or a classically engraved monogram which is then tucked inside a tissue-lined envelope, the receiver feels pampered. 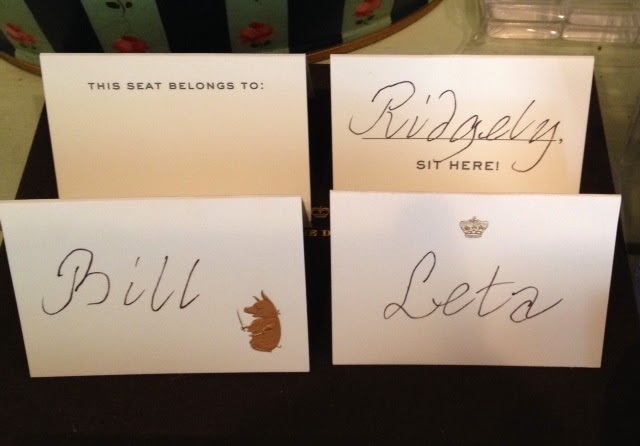 Wonderful placecards are a good way to show our guests that they are special. 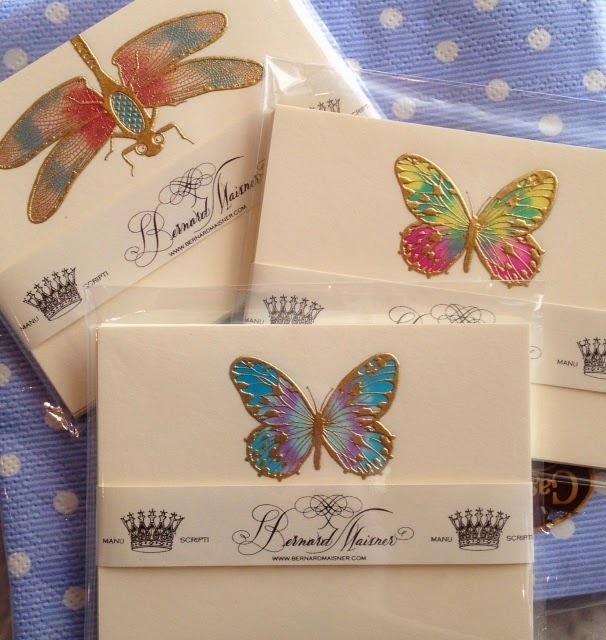 The Boutique offers a large selection of them including Bernard Maisner's hand-painted and engraved placecards that are truly works of art. Mrs. J.L. 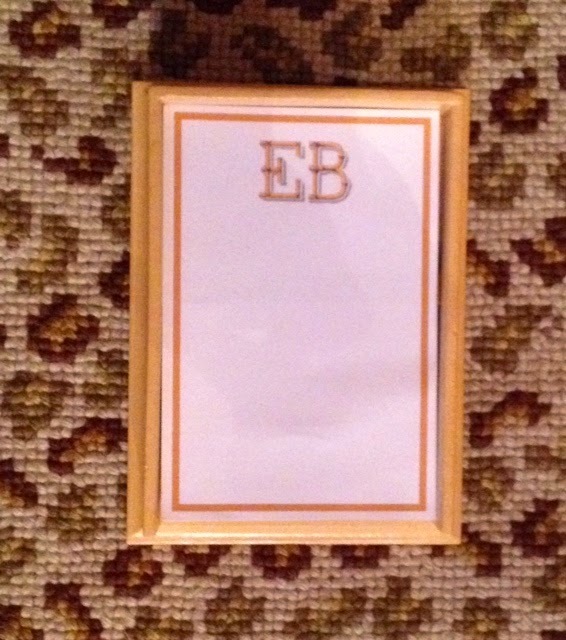 Strong has simple, but elegant placecard designs -- Gold Crown, Sit Here ! and Pig That Ate Roast Beef to name a few. 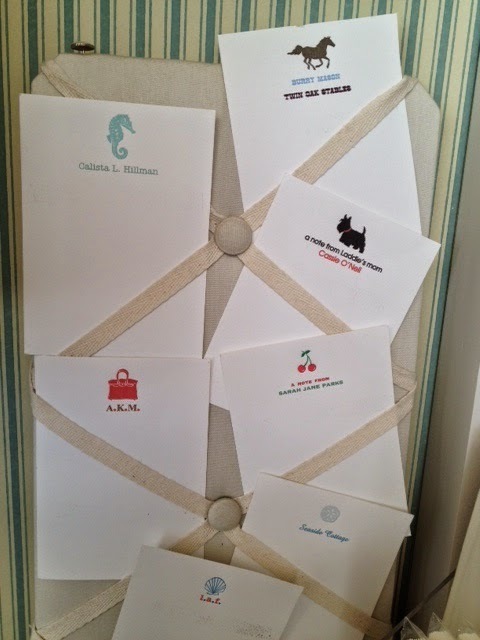 The Printery of Oyster Bay has little white foldover cards with colorful letterpress designs that are very popular. 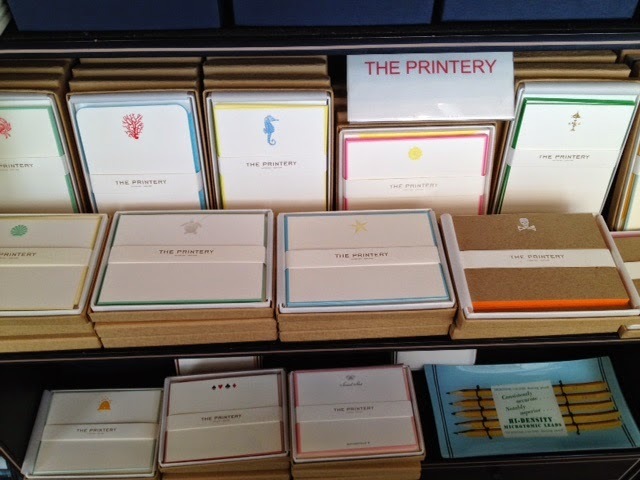 Just as popular are their enclosure cards with designs printed on contrast-bordered colored papers. We sell these more for use as placecards than for enclosures. 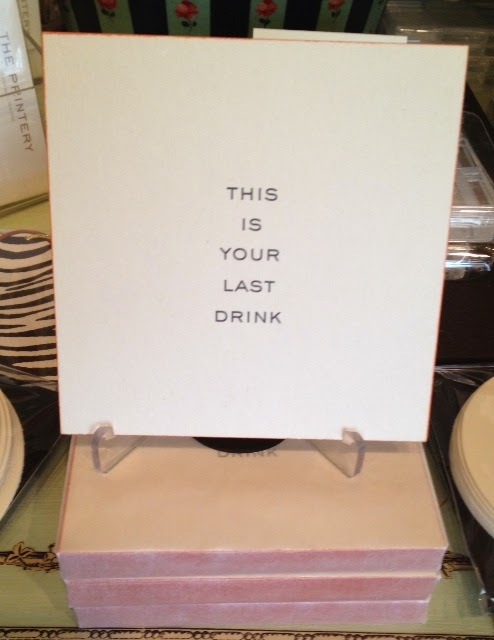 Popular with the entertaining crowd are our Coaster sets. 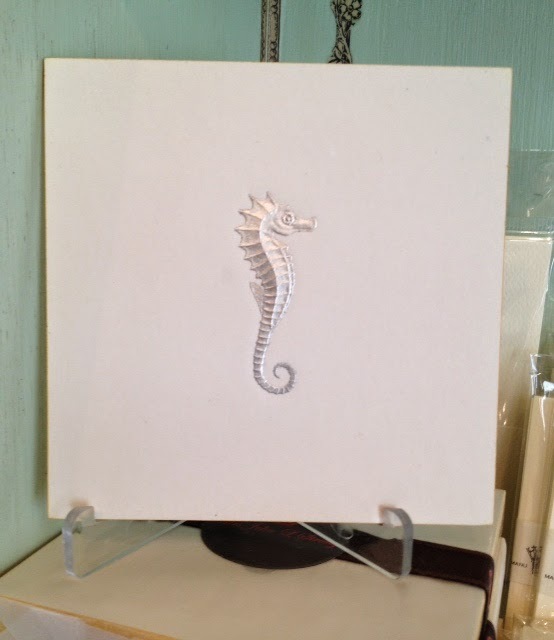 The Anchor and Seahorse sets are always perfect in our seaside community, but the humorous ones really were the biggest hit this year. I think our most frequently purchased papers are our notepads. Our selection runs the gamut from cute to practical to irreverently funny. 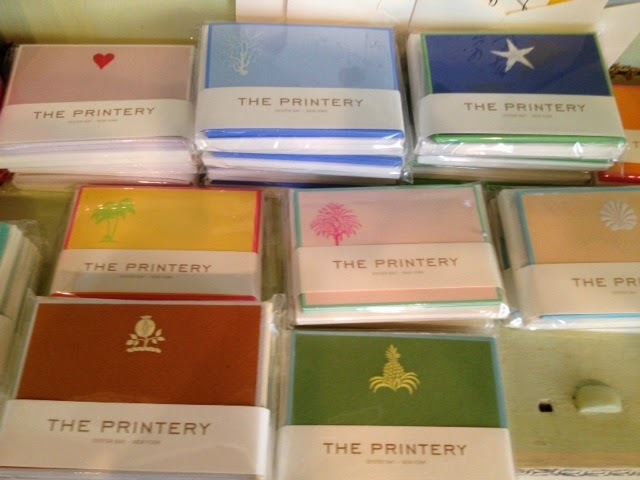 The Printery has Zip Code and House pads (POOL HOUSE, BEACH HOUSE, CITY PAD). 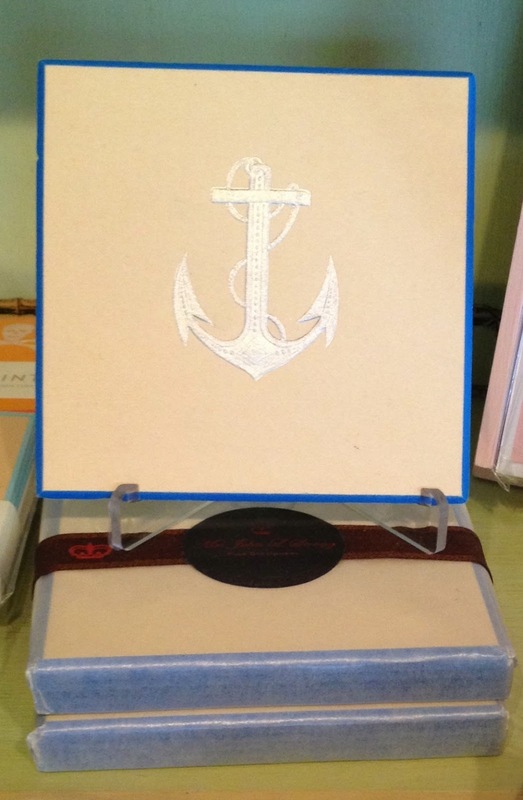 Palm Cottage Goods offers sea-life themed notepads that can be personalized upon request. Mrs. John L. Strong has a blank-pages notepad enrobed in a cardboard jacket with an embossed Crown, Telephone or other design....very classy ! 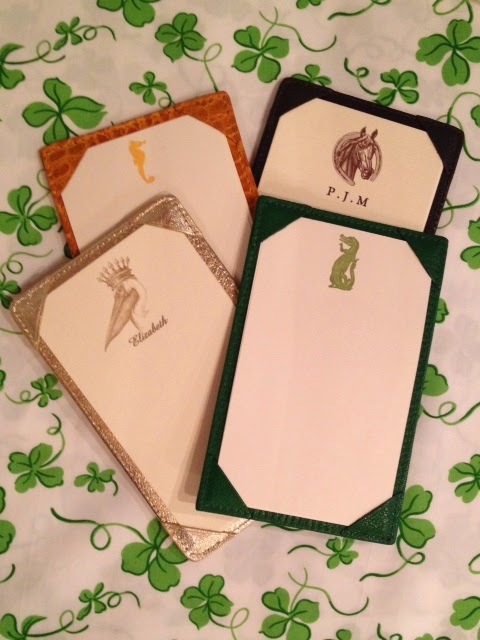 Monogrammed notepads can be printed in any color you can think of and our wooden holders can be color-coordinated to match. 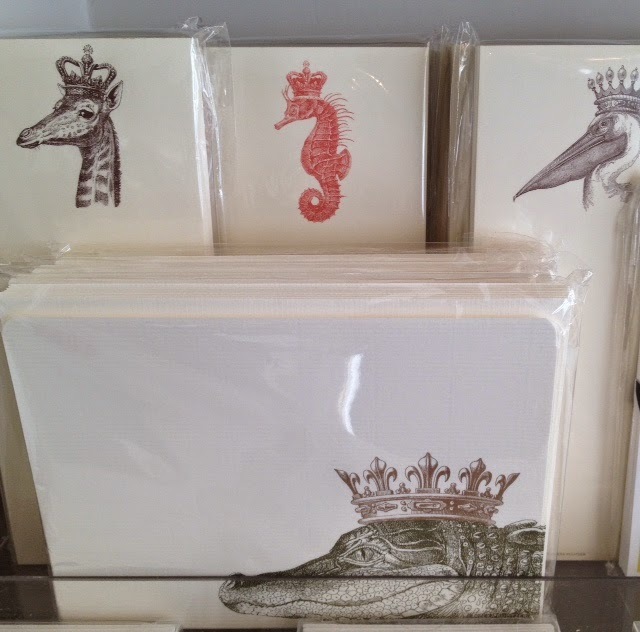 Alexa Pulitzer makes notepads with images of crowned animals such as Royal Giraffe, Royal Seahorse, Royal Pelican and King Gator. Last, but not least are our Jotter Papers. I wrote a post on jotters several months ago. 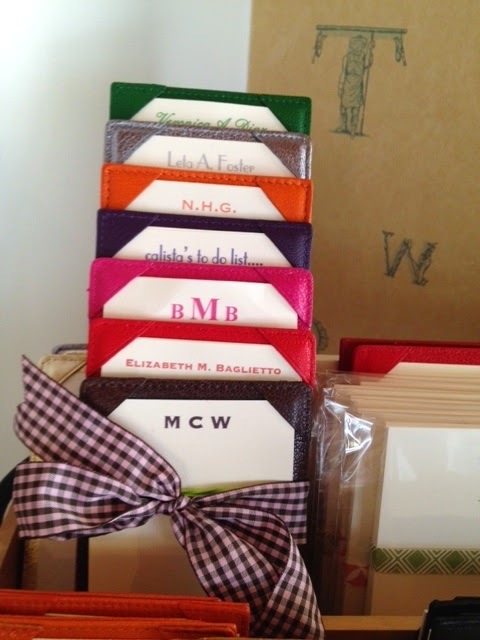 These little leather holders can be fitted with cards sporting your monogram, a picture, or both. 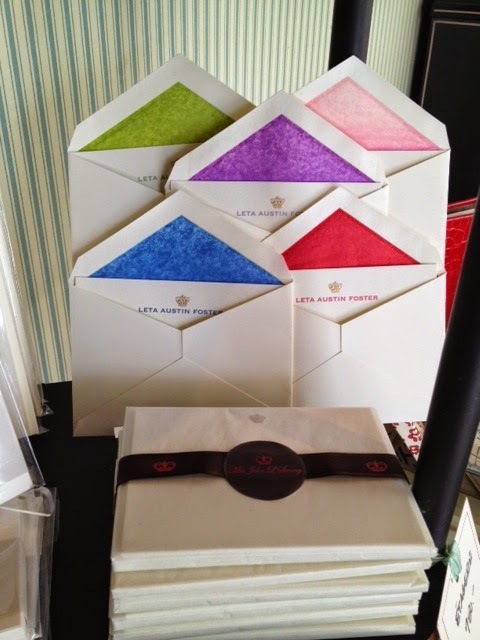 They fit in a purse or pocket and make fabulous hostess presents. Did I mention that many of our personalized papers can be ready in a couple of days ? 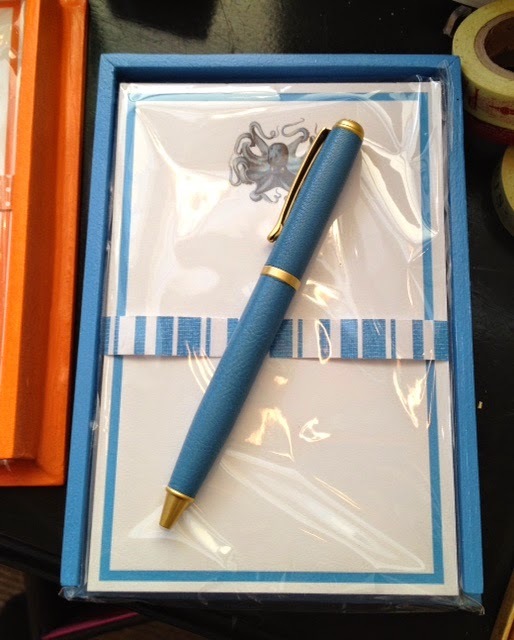 What better way to show you care than to take the time to customize a present of a notepad, jotter or notecard pack with your friend's name or initials. While you're at it, order one for you . I LIKE RHONDA CARMEN; I LIKE HER BLOG --"ALL THE BEST"--SHE USUALLY HAS IDEAS AND ITEMS ON IT WHICH ARE INTERESTING TO ME. NOW THAT I AM LAID UP--FLAT ON MY BACK--IT'S HARD FOR ME TO TYPE, SO I THOUGHT I WOULD INTRODUCE YOU TO HER POST TODAY. 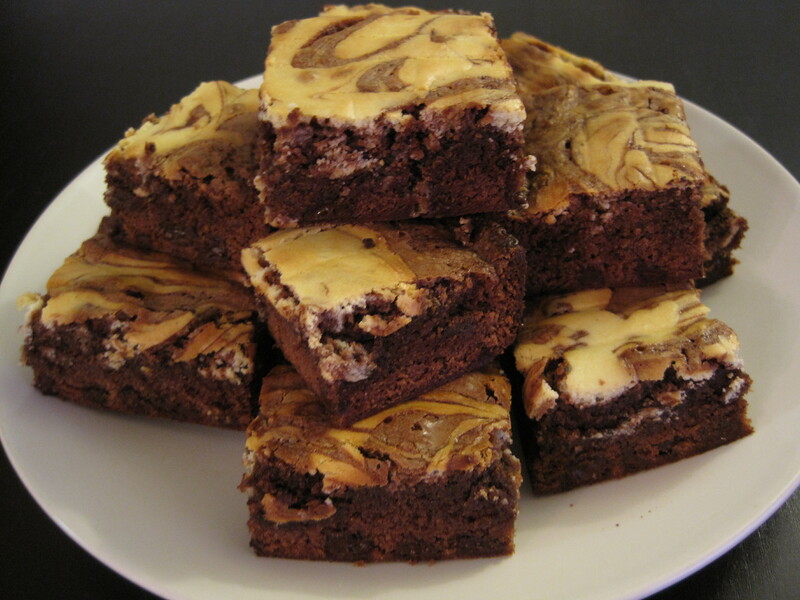 THE RECIPE SOUNDS YUMMY, AND MY DOING THIS WILL INTRODUCE YOU TO ANOTHER GOOD SOURCE FOR YOU--IF YOU DON'T ALREADY KNOW IT (WHICH YOU PROBABLY DO).